Dr. Navni Garg: Thank you!!! Dr. Navni Garg: My parents , sister and friends played a very important role. It was their constant support and belief in me that kept me working. Dr. Navni Garg: My father is my idol. I have always seen him working .the satisfaction and respect that this profession earns him inspired me. Dr. Navni Garg: I think every aspirant doubts that every day. But I had sincere seniors to rectify my mistakes. Its important to have constant guidance towards the right path. Dr. Navni Garg: Chaurasia, khurana, dhingra, ananthanarayan ...and i feel it’s very important to refer proper textbook for every query...rather than internet reference! So I used to flip through text books for any queries. CLASS NOTES: All these were useful....but its important to revise these as many times as possible...i personally believe in making short notes to be revised one week before exam. Dr. Navni Garg: DAMS has been very useful ...i did the foundation course which not only helped me secure good marks in under graduation but also build a strong base early in the learning process which helped me in entrance exam. Dr. Navni Garg: I feel retention is most important. So read only that much which can be revised retained and reproduced on the day of exam. It’s important to read same things multiple times rather than multiple things once. Dr. Navni Garg: I am not in favour of giving multiple exams. It wastes a lot of time filling forms, travelling places and doing individual books for the specific exam. 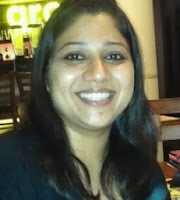 Dr. Navni Garg: I focussed on second year subjects and short subjects. Though i feel first year subjects are very important and i lacked in them. Final year subjects are comparatively easy to manage. Dr. Navni Garg: Considering the exam pattern and evaluation. I had made my mind not to attempt all questions. I did 193 questions. I want to stress that people feel that NEET and DNB are one liner exams. i personally feel its not RATTA type exam. Questions are conceptual and little twisted and require careful reading and presence of mind. Dr Sumer Sethi influenced me the most. His style of teaching, his achievements, his enthusiasm and the zeal with which he motivated us all. Thanks would be belittling his contribution towards our achievement. DAMS is the only institute which works for the welfare of students as the primary objective rather than minting money. The efforts taken by all teachers to clear students’ doubts at DAMS EXCLUSIVE CLUB are commendable. I am highly thankful to the entire DAMS family for their contribution towards my achievement and seek their continuing support and guidance for the exams to come.